Our team members are constantly tracking and responding to the challenges faced by the educators and mentors we support. Earlier this year, a mentor we serve faced a serious challenge that's rarely (if ever) covered in formal trainings: her mentee's grandmother had just passed away and the mentor was left wondering how she could be supportive. Should she ask her mentee how she was feeling? Should she bring up the mentee's grandmother in any sort of conversation? Should she try to empathize with her mentee? We teamed up with Fredda Wasserman at OUR HOUSE in Los Angeles to create a meaningful and useful strategy for the mentor. OUR HOUSE is a non-profit grief support center in Los Angeles. The organization provides support groups for grieving adults, children, and teens that are age and relationship specific. The organization also offers education, consultation, and post-crisis grief interventions. Fredda Wasserman, MA, MPH, LMFT, CT is the Clinical Director of Adult Programs and Education at OUR HOUSE. She is a Certified Thanatologist with a specialty in living with life-changing illness, end-of-life, and bereavement. Fredda regularly presents retreats, seminars, and workshops for medical and mental health professionals throughout the country. She earned her Masters degree in Health Education & Health Administration from the UCLA School of Public Health and her Masters in Clinical Psychology from Antioch University. Learn more about Fredda’s private practice. (Be sure to check out her CDs. We’re big fans). Situation: After the death of someone close to them, most children go through a variety of normal grief responses. Some of the most common reactions are shock, disbelief, confusion, sadness, fear, emptiness, guilt, anger, helplessness, difficulty concentrating, and sleep disturbances. It is helpful for children to talk with someone and express their feelings. Here are some suggestions on how you can help a child who is grieving. Please note that while this resource was written for young children, you can adapt the following suggestions for work with older children as well as adults. First Suggestion: When working with a young child, use correct terminology when explaining what happens to the body when someone dies. Second Suggestion: Accept the child’s feelings about the death. Third Suggestion: Expect that a child will grieve differently than an adult. Developmentally children can only handle small amounts of pain/grief at a time; therefore, they may be openly sad one moment and happily playing the next. This is normal behavior, especially for younger children. Fourth Suggestion: Know that it is OK for you to mention the person who died. It can be comforting for the child to hear that you remember the person who died, or you remember something that they told you about the person. If they ask you not to mention the person, always be respectful of the child’s wishes. Fifth Suggestion: Encourage the child to express her feelings. Provide materials that will help the child you’re working with to express his grief through drawing, painting, collage, making lists of words that describe what they are experiencing, creating music playlists, or through another medium they enjoy using. Read about one art activity called "I Remember" that you can use with your student or mentee (pdf). If you are working with a small group of children who have experienced the death of a close friend or relative, encourage them to share their projects with one another either by going around in a circle, meeting in small groups, or having a type of fair where people can walk around, look at and discuss one another’s projects. After the sharing process, ask who else has had some of those same feelings that they heard or saw. Ask who had different feelings. 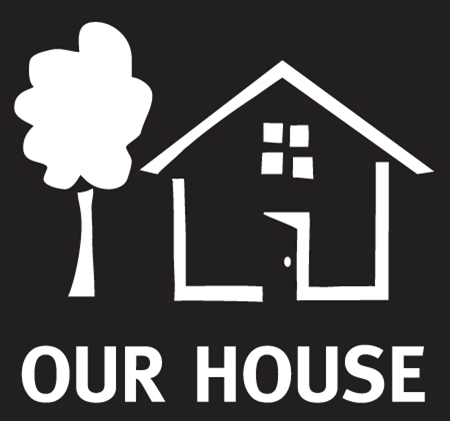 Additional Resources & Materials: Information on the normal grief process for adults, children and adolescents can be emailed to you by contacting ourhouse@ourhouse-grief.org or www.ourhouse-grief.org. Please share your thoughts about this strategy by clicking the grey “Comments” link below.